I'm not one to brag or anything, but I have definitely been on a roll with face of the days, now haven't I? If you're wondering where my video tutorials have been, hang tight! I've been really sick this whole week and my voice is basically non-existant. So, there's that. Anyway, for this look, I decided to work with the peach tones that are all the rage in the beauty community this season. 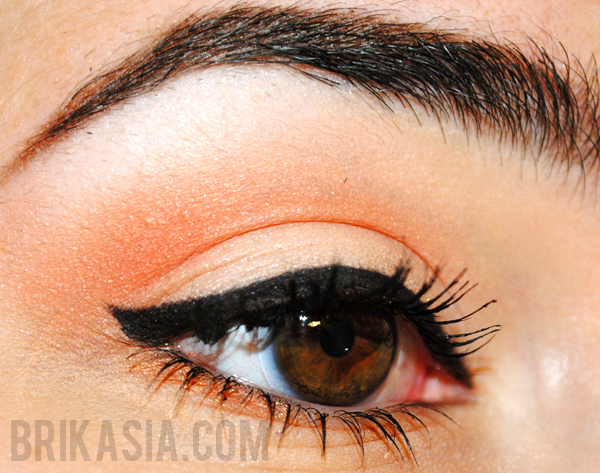 It keeps the look very natural and subtle, but the orange shades are a bit unexpected. Basically, it's perfect. 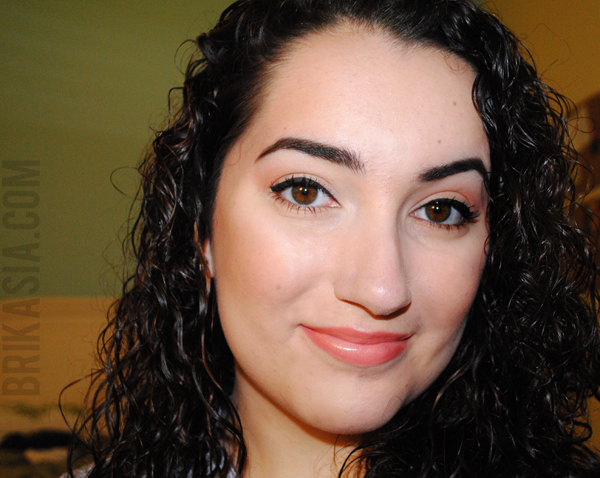 I used a mish-mosh of products on my eyes, so I don't even remember what products I used. So the list below is all that I can remember! Love the eyes and your hair, you have so beautiful hair. Your brows are killer - and I seriously think I need to get my hands on that Bottom Lash mascara! Aw thank you! The bottom lash mascara is a life changer, I swear!